A well known catch phrase from a popular movie is “follow the money.” For Internet marketing, the best advice is “follow the problem.” The most effective online products are those that address problems. 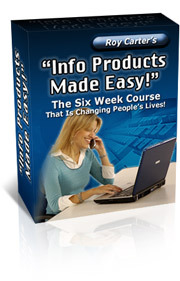 How to break into Internet marketing. How to lose weight. How to avoid foreclosure in a down market. These are problems that drive people to search engines desperately looking for answers. How do you know what people want and need to know? You have to research and listen into the online conversations in your niche. Start with keyword research for your topic. Check in with Google Labs and find out what the trend of online interest is based on up to the minute searches. Over days or weeks, you can see when the trend shifts and a new hot topic rises. Another expanded Google tool, the Google Talk Labs, lets you get involved in conversations about trend topics. You have a chance to interact and possibly influence the conversation. At the same time, you want to drop into several discussion forums that focus on your niche. Don’t be a lurker, be involved. You can use a different name – just make sure that you contribute to the conversation. Nothing will get you barred from a forum faster than showing up with a sales pitch instead of being a participant. Once you make several posts and join the conversation, then you earn the to right to offer suggestions or recommendations. That’s another reason why you want to use a name other than your own name so that you aren’t obviously recommending your own site. When you get a hint of a problem from comments in the forum, be bold and ask, “Does anybody have a good resource for how to . . . ” If no one has a suggestion, there’s a product waiting for you to develop. You can also get a feel for problems by scanning major blogs like Technorati and Boing Boing. Subscribe to blogs that are popular with followers of your niche interest. Chances are they will comment on those blogs. If you find that there’s a product to address the problem, take a look at it. What can you do to improve, simplify, expand or add a new twist to that answer? Is it a high priced product? Then you need to develop something at a slightly lower price point. Is it too cheap and vague? That’s your cue to add more substance, get endorsements from reviewers and position your product as the premium solution. Millions are made online by solving simple problems where the public is using the ‘net to find a solution.